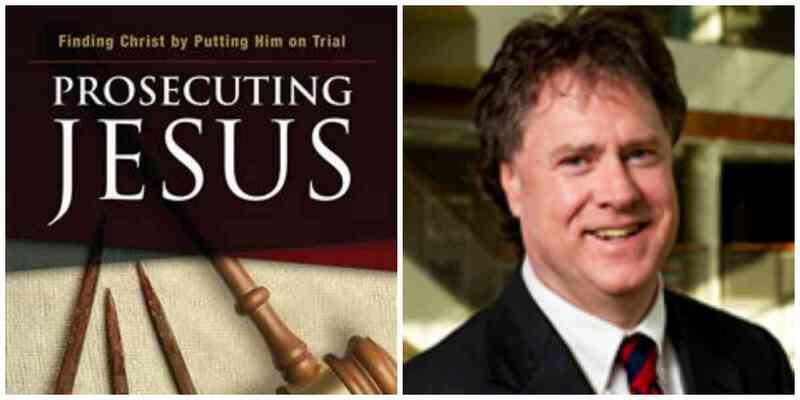 Mark Osler discusses Prosecuting Jesus: Finding Christ by Putting Him on Trial. He will be joined in conversation by Bernardine Dohrn, Joy Tull, Sara Sommervold, and Jeanne Bishop. About the book: Who is Jesus? Christians have been arguing about the answer to that question since there have been Christians, and it seems unlikely that they’re going to agree on an answer anytime soon. Mark Osler, always a bit uncomfortable in church, was never able to find a Jesus that seemed real to him until he put Jesus on trial. Drawing on his training as a federal prosecutor and professor of law, he and a group of friends staged the trial of Jesus for their church, as though it were happening in the modern American criminal justice system. The event was so powerful that before long Osler received invitations to take it on the road. Each time he served as Christ’s prosecutor, the story of Jesus opened up to him a bit more. Prosecuting Jesus follows Osler in this extraordinary journey of discovering himself by discovering Jesus. Juxtaposing things we rarely put together, like the passion of Christ and our ideas about capital punishment, Osler explores an active engagement between Jesus and our contemporary law and culture. About the author: Mark Osler is the Robert and Marion Short Professor of Law at the University of St. Thomas (MN). Osler's writing on clemency, sentencing and narcotics policy has appeared in the New York Times (twice), the Washington Post, and in law journals at Harvard, Stanford, the University of Chicago, Northwestern, Georgetown, Ohio State, UNC, and Rutgers. A former federal prosecutor, he played a role in striking down the mandatory 100-to-1 ratio between crack and powder cocaine in the federal sentencing guidelines by winning the case of Spears v. United States in the U.S. Supreme Court, with the Court ruling that judges could categorically reject that ratio. Osler's 2009 book Jesus on Death Row (Abingdon Press) critiqued the American death penalty through the lens of Jesus' trial. His second book, Prosecuting Jesus (Westminster/John Knox, 2016) is a memoir of performing the Trial of Jesus in 11 states. The character of Professor Joe Fisher in the Samuel Goldwyn film American Violet was based on Osler, and he has been the subject of profiles by Rolling Stone, The American Prospect, and CBS News. He is a graduate of the College of William and Mary and Yale Law School. About Bernardine Dohrn: Bernardine Dohrn, activist, academic, international child rights and women's advocate, is retired Clinical Associate Professor at Northwestern University School of Law, and founding director of the Children and Family Justice Center for 24 years. About Joy Tull: Joy Tull is a graduate of Baylor Law School, where she studied with Prof. Mark Osler, who formerly taught at Baylor. At Baylor, Joy served on the Law Review and on the American Association for Justice Mock Trial Team. Joy started her career at a litigation firm in Dallas, Texas. She is currently an Assistant Public Defender with the Office of the Cook County Public Defender in Chicago. Joy acted as second chair for the prosecution during the Trial of Jesus depicted in Osler's memoir Prosecuting Jesus. About Sara Sommervold: Sara Sommervold is a graduate of University of St. Thomas School of Law, where she studied with Prof. Mark Osler, who holds the Robert and Marion Short Distinguished Chair in Law there. At St. Thomas, Sara was one of a few students selected to participate in the law school's first in the nation federal commutation clinic. Sara clerked during law school with the Washington County Public Defender in Minnesota. She is now a Clinical Fellow and Intake Attorney at Northwestern University's Center on Wrongful Convictions. Sara served as second chair for the defense during the mock trials depicted in Prosecuting Jesus. Jeanne Bishop: Jeanne Bishop holds journalism and law degrees from Northwestern University and is also an Assistant Cook County Public Defender. She is an adjunct professor at Northwestern University Pritzker School of Law and a recipient of its alumni award for public service. Jeanne is the author of Change of Heart: Justice, Mercy and Making Peace with My Sister's Killer (published by the same press as that of Osler's book, Westminster John Knox). Jeanne acted as defense attorney to Osler's prosecutor in the mock trials depicted in Osler's book.